Today we are going to how to play a fun Montessori game that promotes good hand writing skills while also helping kids to learn the alphabet on their own. This is an educational, yet fun arts and craft activity for both you and your young children to do together. This crafts idea is beneficial for preschoolers, Kindergartners, as well as children who are autistic / on the spectrum / or those who have sensory disorders. (even older children enjoy it). I have a friend with an Autistic child and this game is very similar to the way she had to teach her child the alphabet since he wasn’t able to learn the alphabet through sight since he was more into sensory and tactile learning techniques. As a warning, this craft might cause random bursts of laughter from both you and your child. Comment to tell us how your child reacts to this fun tactile game and craft. Enjoy. 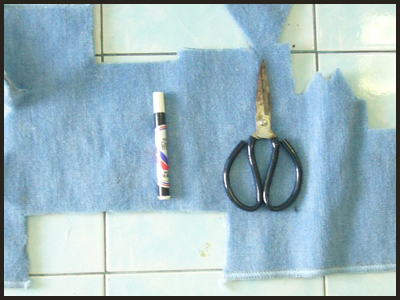 Gather the crafts materials that you will need for this arts and crafts project / game. 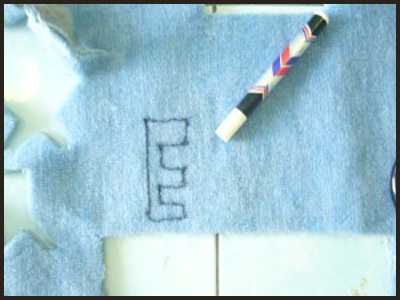 1-Trace the letters you want on the material that you chose to use (rug / cloth / felt / foam) with the marker. 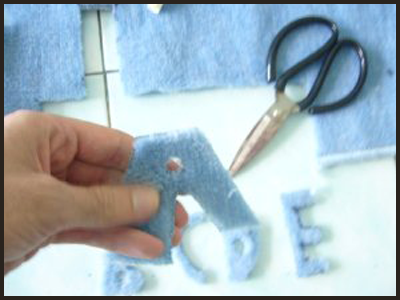 2-Now cut out the letters as shown above. 3-Now for the fun part. Have the kids feel the letters and say the letters at the same time. Do this two or three time until they have memorized the letters. 4-Now for the game. Have the children close their eyes. Spread the letters out on the floor. Then say a letter. Have students crawl around and feel the letters till they find the correct letter. 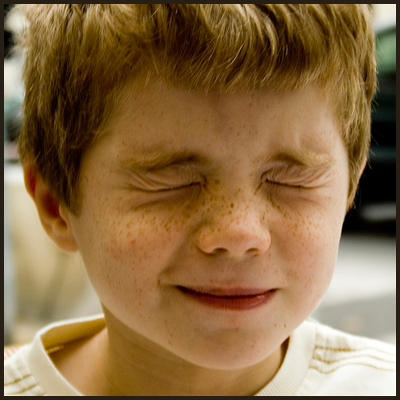 Now, have the winning student tell the other kids to close their eyes. The winning student now repeats the game. Make sure you do this a few times, it’s fun. The students should be able to play the game on their own. 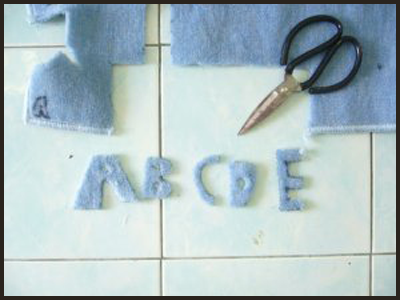 Here Are Some Other Links That You Might Find Useful – It is important to practice learning all the letters of the ABC! As you do your child will become familiar with each individual letter. Lowercase and Uppercase Floor Alphabet Game – An uppercase and lowercase floor alphabet game for younger kids and preschoolers. Hey I’m viewing your site with the block application and it looks pretty green, dpn’t know if this is your site or the browser. Anyway meet gift you a heads up. Why didn’t I find your blog earlier?! I think you’re doing an interesting job. Keep rocking !